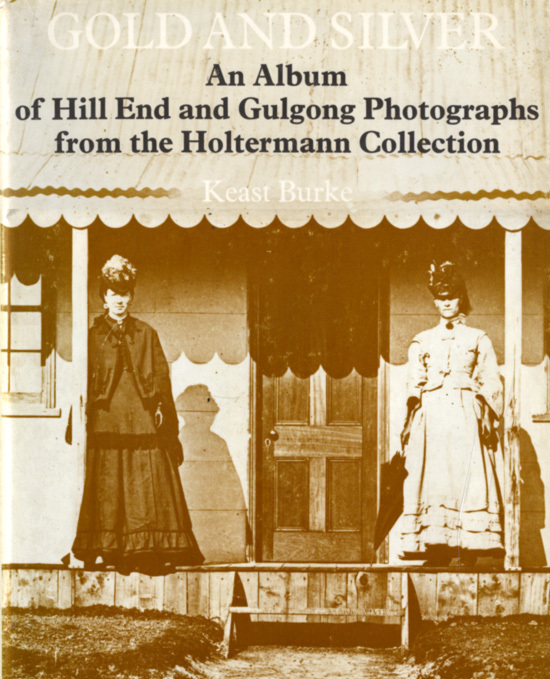 photo-web presents an online version of Keast Burke's work as published originally in his book GOLD AND SILVER: An Album of Hill End and Gulgong Photographs from the Holtermann Collection. This online version contains most of Keast's text and a majority of the plates from the original book. However, the plates have been resized down rather than in the full enlargements as published in 1973. Keast had originally published text on Holtermann, Merlin and Bayliss in special issues of the Australasian Photo-Review in 1953. Some of the information published here from the 1973 GOLD AND SILVER book may repeat information from the former magazine issues. In some cases additional and amended information has been supplied by Keast as he and his wife, Iris, we constantly involved in research and updating their knowledge on these photographers. photo-web recognises that the collection at the Mitchell Library in Sydney is called the Holtermann Collection because it was located with the Holtermann family. Another reason is that the collection also contains some of the commissioned works that were especially commissioned by Holtermann for his expositions. However, we are very aware that the photographs are in the first instance the work of the The American and Australasian Photographic Company (A&A), being Beaufoy Merlin and his assistant Charles Bayliss, and the full collection also contains works by Bayliss for Holtermann following the death of Merlin. The context for this amazing collection therefore needs to understood. That is, Holtermann's role as the entrepreneur (and occasional photographer) was crucial and when combined with the talent and initiatives of both Merin and Bayliss, magic happened. And finally all of us are in the debt of both Keast and Iris Burke for their dedication in bringing the collection to our notice and for their many long hours of valuable research. The original GOLD AND SILVER plates were reproduced from the Holtermann negatives, Mitchell Library Sydney.